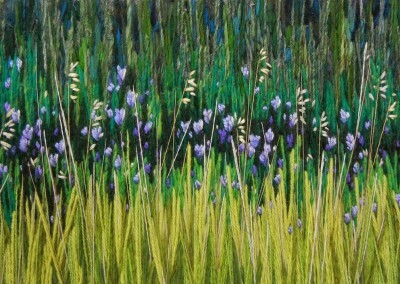 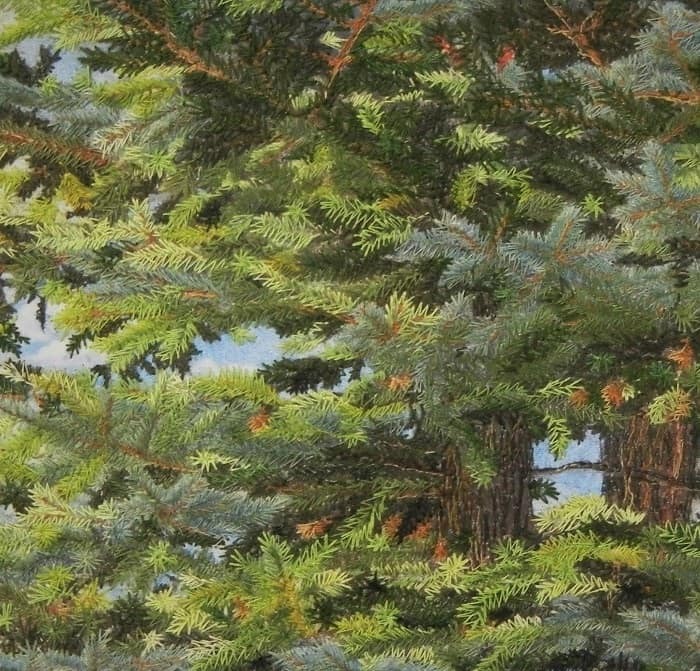 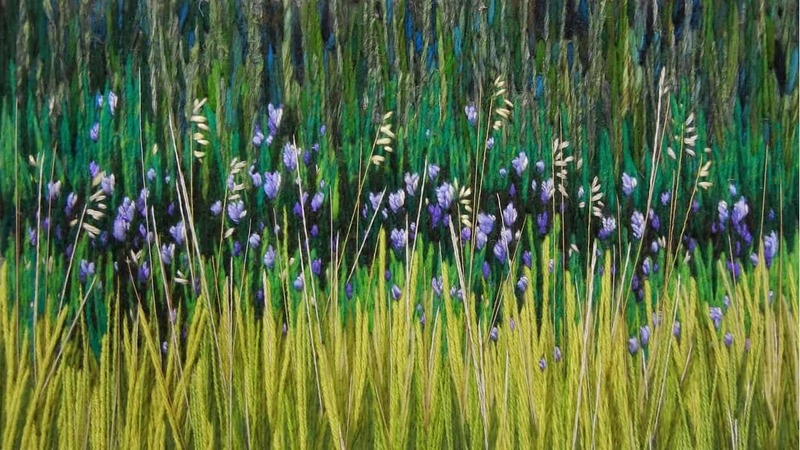 Monika Kinner-Whalen is a full-time fibre artist who lives and works in Saskatoon. 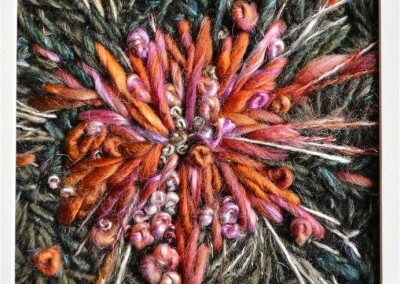 Monika specializing in freestyle embroidery. 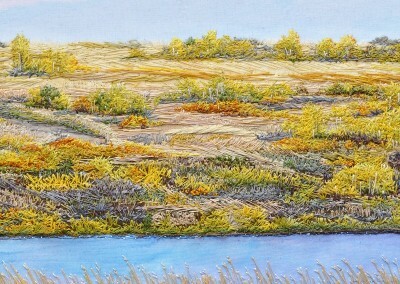 Her creations are expressions of her love for the prairies and often originate from her own personal photographs of Saskatchewan. 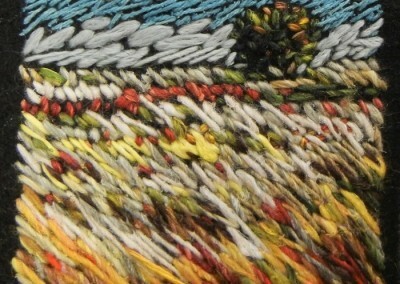 She is constantly amazed by the texture and intricate beauty that can be achieved by working with threads. 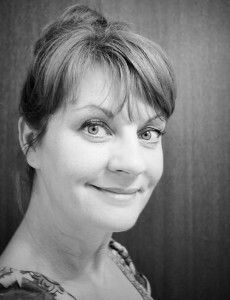 Monika has created three main bodies of work. 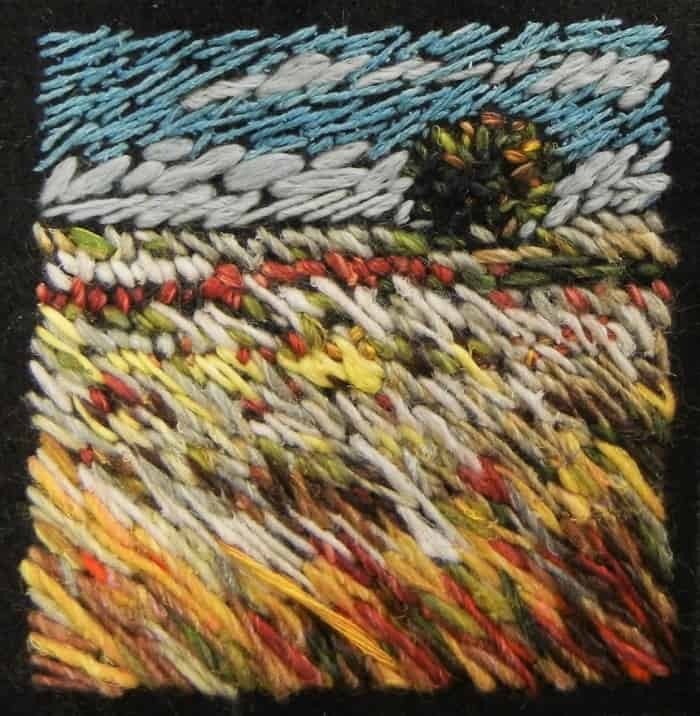 This includes threadpainted prairie scenes which are stitched by self guided machine sewing and intricate hand embroidery onto cloth. 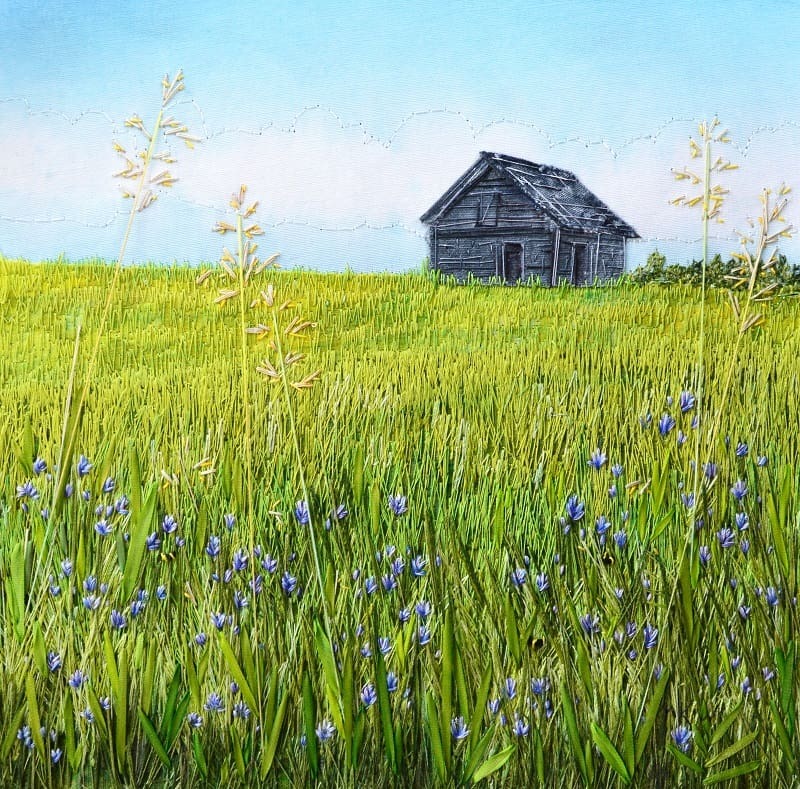 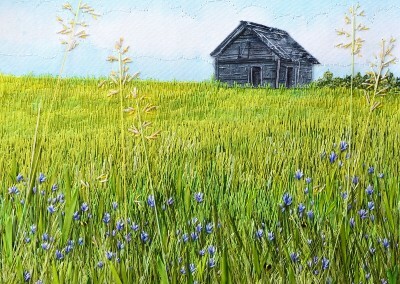 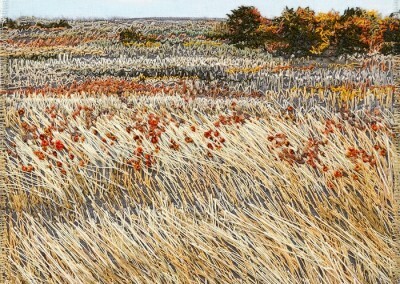 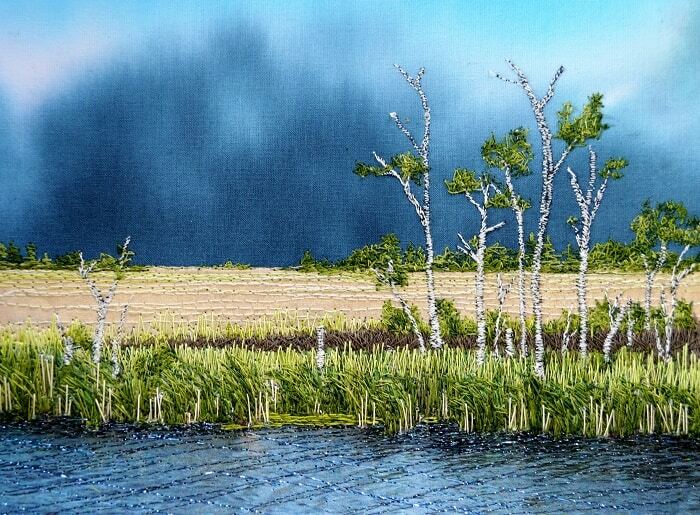 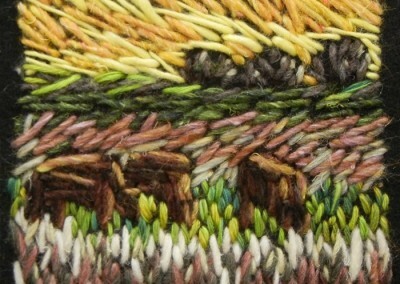 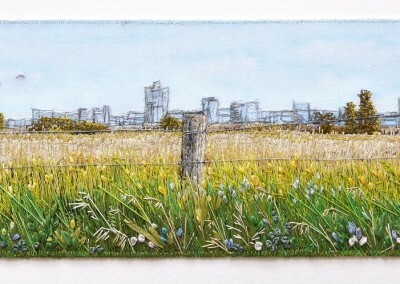 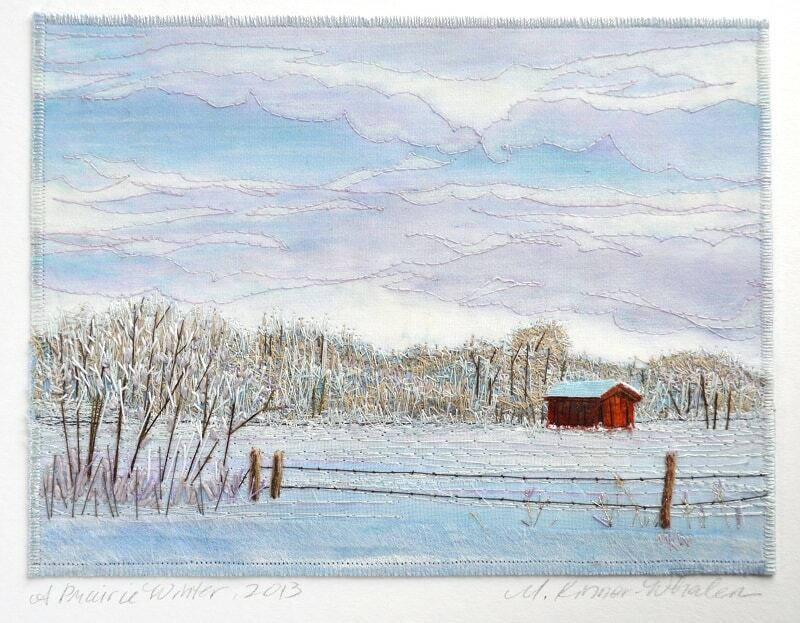 She also has developed a series of small scale quilted prairie scenes, each unique, numbering into the 400s. 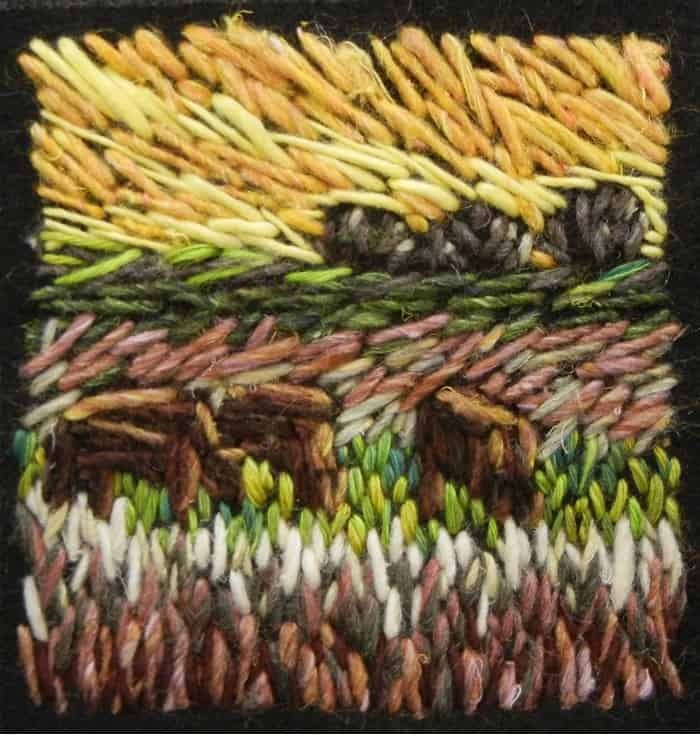 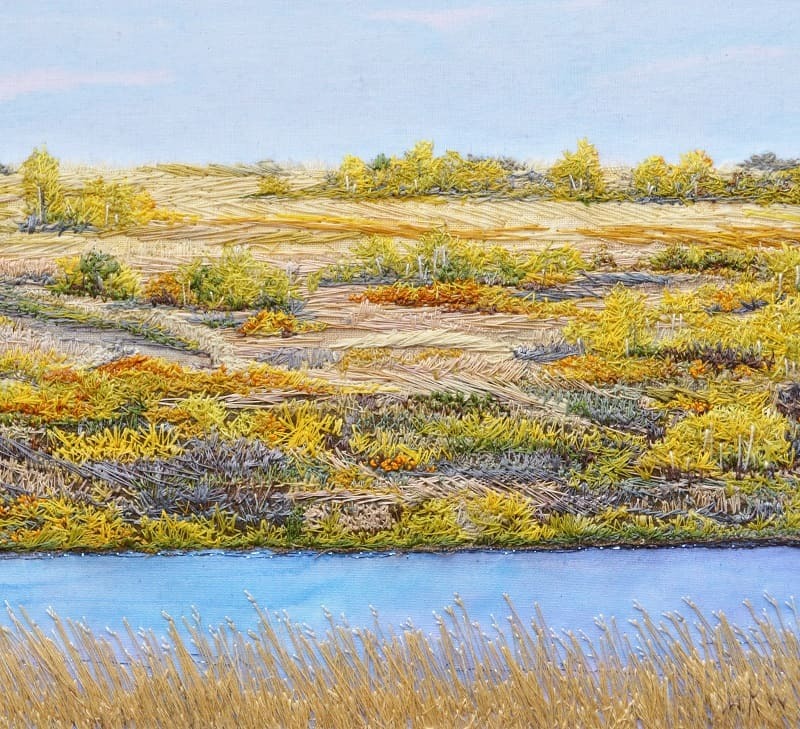 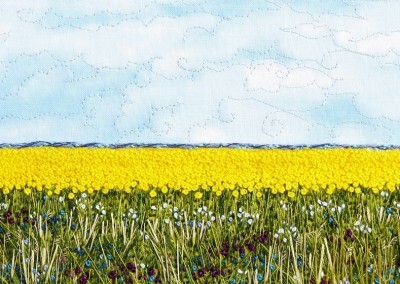 Thanks to a recent Saskatchewan Arts Board Grant, she has developed a more intimate study of the prairie utilizing hand stitched yarn embroidery on felt. 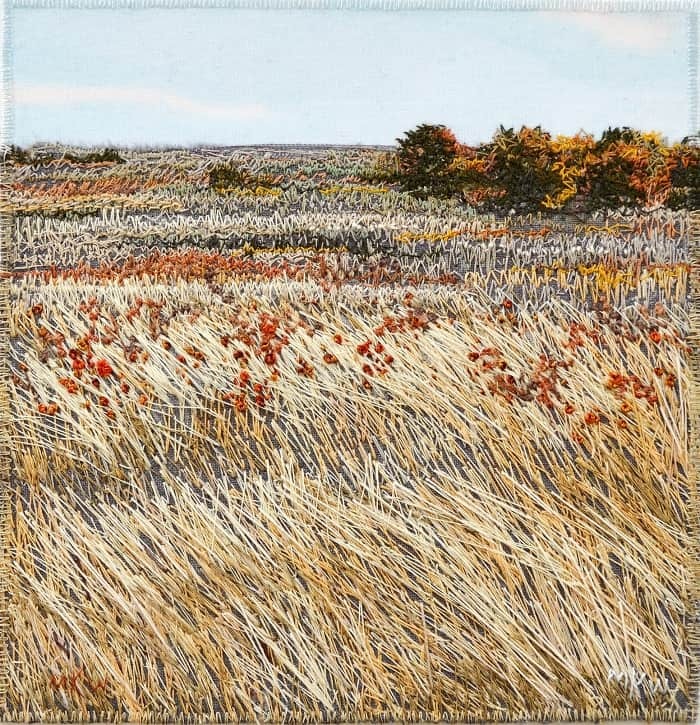 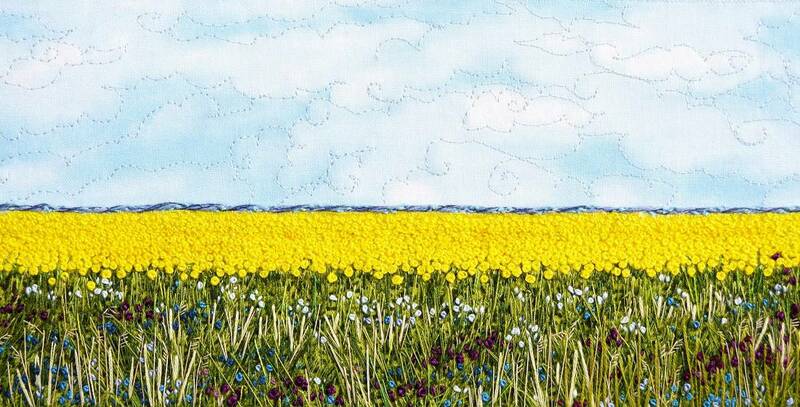 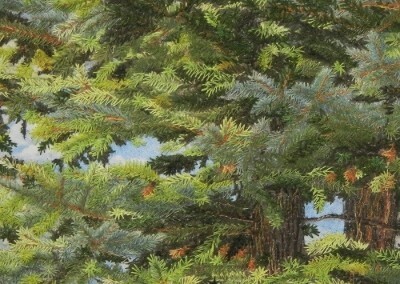 Monika Kinner-Whalen is self-taught in the areas of needle arts and photography. 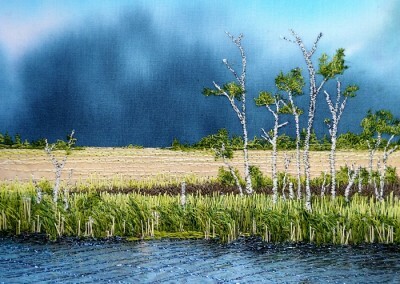 An extremely positive public response to Monika’s work has gained her exhibition invitations, awards, media attention, teaching & public speaking opportunities, as well as commissions locally, nationally, and internationally. 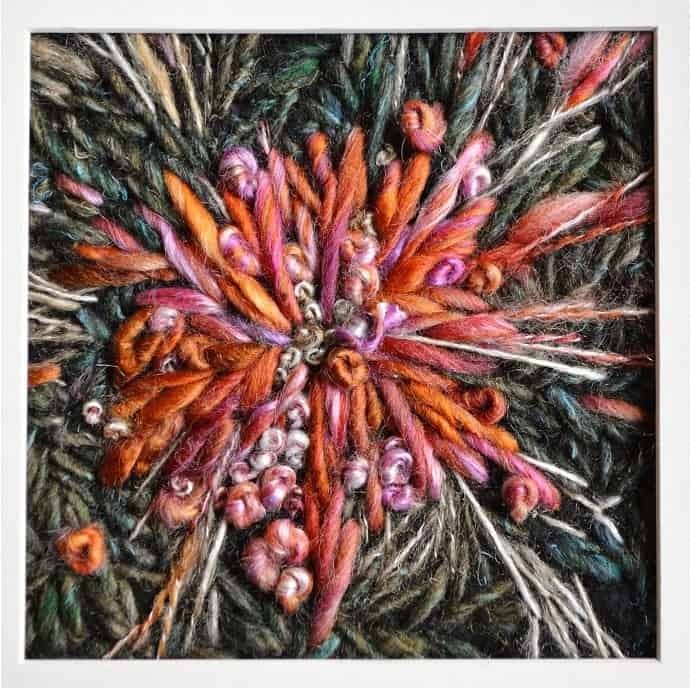 Monika has been published in Stitch (UK), Fibre Art Now (US), Quilters Connection (Canada), A Needle Pulling Thread (Canada), Quilting Arts (US), Midwest Fiber Arts Trails (US), and recently in the book entitled Mastering The Art of Embroidery, by Sophie Long of the UK. 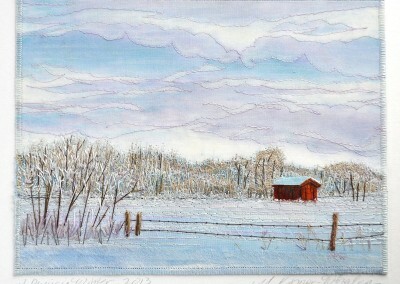 She works from her home studio in Saskatoon and welcomes commissions.